1703 Keeney is located south of Dempster and north of Oakton. 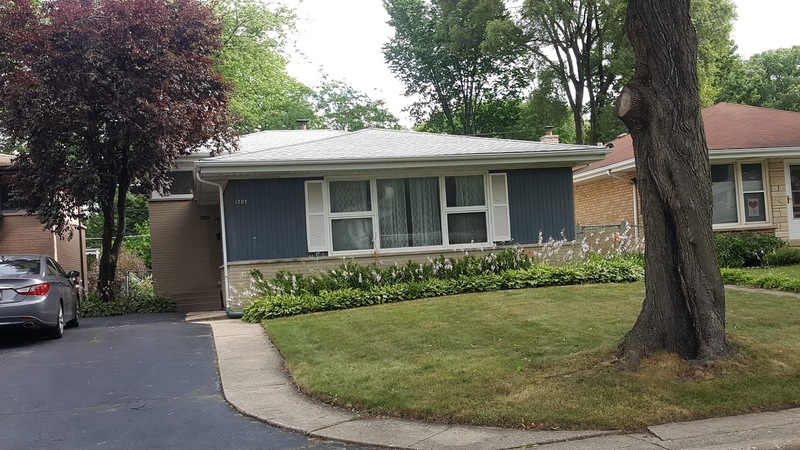 The mature landscaped neighborhood is tranquil and a super value for Evanston! The Martin Luther King Literary and Fine Arts School nearby is a popular draw for home buyers. Robert Crown Park, Burnham Shores Park and all the shops, restaurants and amenities of Chicago Ave are close by. Our clients are under contract on a well preserved split level at 1703 Keeney (offered at $337,000). Southern Evanston offers some of the best single family home values in the popular North Shore city. The diverse single family home stock allows for any budget from first time buyers to fantasy lake front homes! 95 single family homes have sold so far in 2018. The median price of a sold home is about $440,000 (up 8% since 2015). The highest priced sold home is 90 Kedzie Street, Evanston IL 60202 for $4.5 million. This generational estate home on the the lake is a dream come true! Thew lowest priced sold home is 937 Brown Avenue, Evanston IL 60202 for only $150,000. The tri-level ranch is an amazing renovation opportunity right off off Robert Crown Park. In 2012, when the market began to accelerate out of the crash, 80 homes sold for a median price of $377,000. 87 Evanston homes sold in 2015 with a median price of about $407,000.